toying with death. 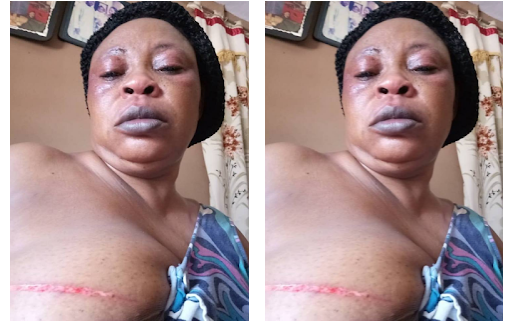 An authority of the Federal Road Safety Corps (FRSC), has been accused of domestic violence against his significant other who is also a Road Safety officer. As indicated by Dean Otu, the Road Safety officer recognized as Mr Stephen Abua who is serving in Ebonyi State however hails from Ogoja, Cross River, purportedly ambushed his spouse, Mrs Mary Abua, earlier today.